Every so often a beer is released that makes you go ‘OMGOMFG’. Once you’ve recovered from your breakdown, you book annual leave immediately in preparation for the event. 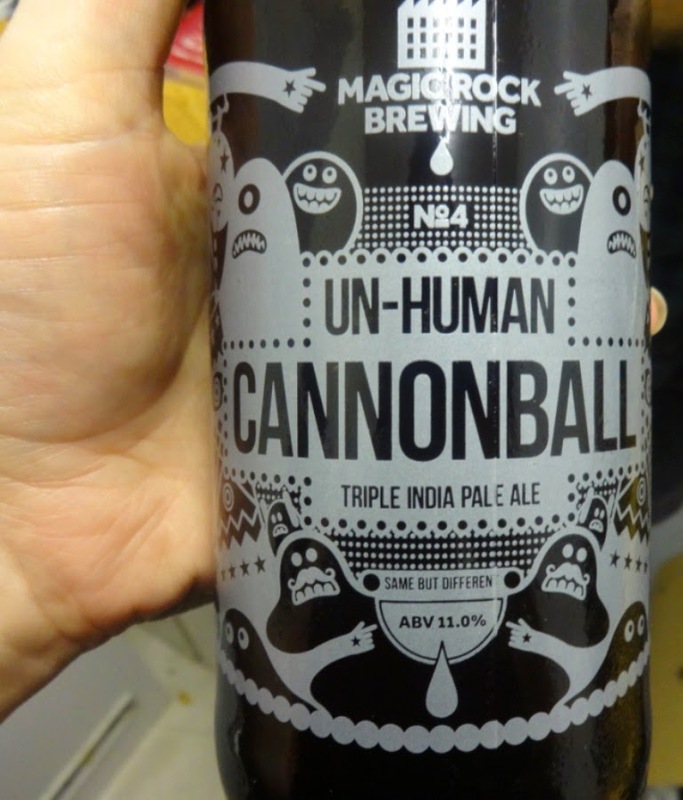 On Thursday, Magic Rock Brewing launched their limited edition Un-Human Cannonball Triple IPA (11%) at the Craft Beer Company, Islington. Of course I was straight down there to grab a bottle. I was also given a tote bag; its the beer that keeps on giving! I decided to wait until Drinking Buddy got home from work before cracking this one open (longest wait of my life). You know how sometimes you take a swig of your beverage and go ‘oof!’ Yes, this was one of those very times. 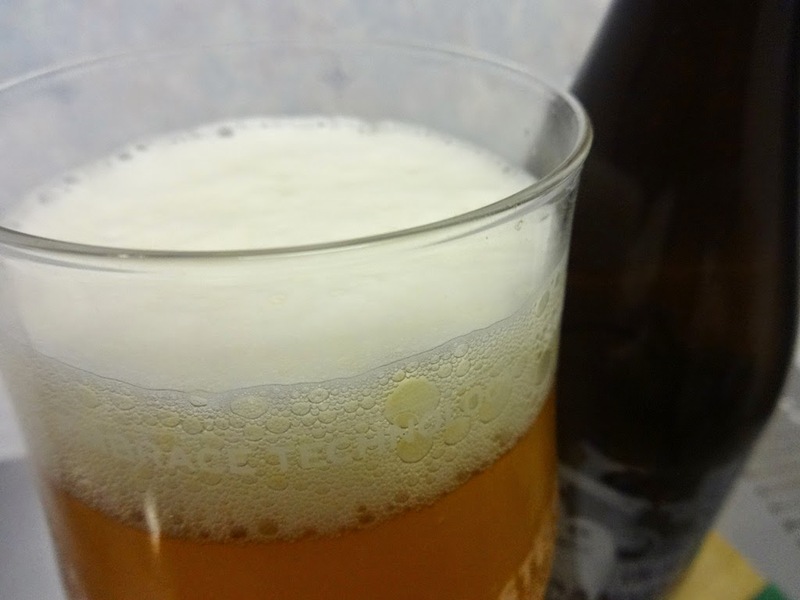 But let’s start with the pour…you can see from the photos that this poured a beautiful amber gold with some sediment and a small white head. The aroma really knocks your socks off; there’s a freshness there, some tropical fruit and a a tonne of hops, but there’s also some dark caramel too. So, on to the tasting. Can I just say that if you think craft beer has become too hoppy and you’re fed up with hops and you might implode if you ever try another hoppy beer: LOOK AWAY NOW. My god the hops! The hops knock your socks off! This IPA is absolutely packed with flavour and beautifully sweet with hints of peach and mango, but with a pleasantly mild bitterness. What I will say about this (and I can’t decide whether this is a good or bad thing) is that the alcohol comes through strongly and you can feel that heat in the back of your throat. Of course this isn’t designed to be a session beer, but it’s still not for the faint hearted. And at £20 a pop you’re not going to be knocking it back either. 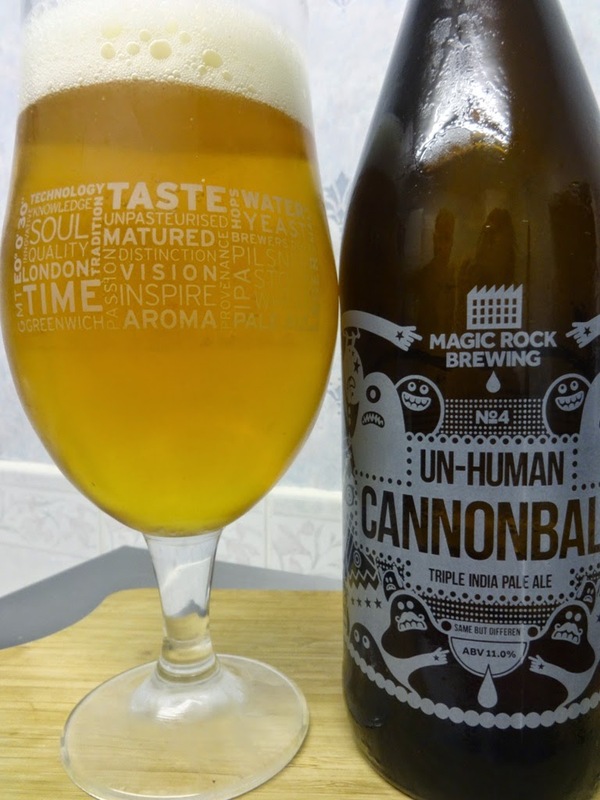 Good work, Magic Rock. Bring on next year.